I can honestly tell you that there are very few things which give me as much pleasure as when the puzzle pieces of my inner evolvement come together in a new understanding. It truly is something which feels so totally like enlightenment in that moment that the sheer joy of it makes me buzz energetically to an intense height. But here is the thing. This buzz is in the silence of peace and the quiet of indescribable joy. It sounds a little contradictory, doesn't it? And maybe it is, but it also is a heightened experience of awareness not to be exchanged for anything. A few things came together for me recently. I realized how much of my every thought, action, feeling come from memory. From what has been in the past. It is a constant replaying of old tapes. My mind is filled with a busyness that leaves very little space for inspiration. I began working with the life changing concepts of Ho'oponopono,(it truly is mind boggling!) taking total responsibility for everything, as introduced in Zero Limits (Joe Vitale & Dr Hew Len) and began living more in the silence of the Void where inspiration abounds. When the Abraham teaching (Esther Hicks) talks about being in alignment with Source it is all about being in vibrational connection with what you desire and becoming more in line with your Inner Being. Your Inner Being knows who you are as Source knows you to be. When you are in touch with your Inner Being you feel good. Joy, excitement, peace and tranquility are all yours. You are connected to Source. You are in the vortex of your being. As you remain in the vortex, right action flows to you through inspiration. You know what to do, how to be, with an inner knowing which is secure and love filled. Eckhart Tolle speaks about the power of being in the current moment. The Power of Now. I read this powerful book of his long ago and after many years of having 'bliss now' experiences here and there, I went back to his writing and a new light went on. He describes it as your felt oneness with Being. It is accessible to you as your innermost invisible and indestructible essence. You can experience your innermost self when your attention is fully and intensely in the Now. To regain awareness of Being and to abide in that state of 'feeling-realization' is enlightenment. If you want to be in the Now, you have to stop being entertained by the monkey-chattering mind. When you are focused in what is happening in this very moment of Now, you are noticing the intense pleasure of a breeze, the bright ray of sunshine on your desk, hearing the twittering of the bird just outside the window. There are no thoughts running in circles. There are no thoughts about what has been and the future lies within you, still and unborn. You are in the void. In the centre of your being. In the vortex of your consciousness. In that silence Inspiration speaks. What has to be done next drops into your head. And how do you know it is the highest answer? You feel it. Your personal emotional guidance system tells you. When you feel good, joyous, pleasure, excitement and the whole range of good-feeling emotions, you know with a knowing beyond understanding. And peace comes to you. When you are in the vortex of your own unique personal spiral, you are in bliss. When you act from here, and you must act when you receive the inspiration, the whole universe brings to you what belongs to you. And you have no idea what must come together. It is called miracles. There is no size description to miracles. There are no big miracles and small miracles. It simply is something happening which I, of my own self, out of vortex, could not have made happen. So I find myself listening to my daughter while she opens her heart. I am right in the centre of my vortex. No thoughts of what has been. No advice. No judgment. I am simply there. Present. And suddenly the miracle happens... we are together in Source. She feels heard. Light abounds and the peace beyond all understanding engulfs me. Silence within and without. I am being Light. The Water Secret written by dermatologist, Dr Murad has become revolutionary in the anti-aging and health communities. He especially encourages his readers not to simply drink themselves youthful, but to eat themselves there. The “how” of it all is easy enough to understand: It’s absorbing versus dissipation. 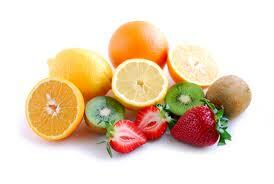 The molecules surrounding fruits and veggies help them absorb into your cells faster and longer than regular water. This helps promote retention of water in your cells, which helps them stay younger and healthier. More vibrant skin isn’t the only plusser. The foods that provide the most hydration to the cells of your body are the same ones with highest nutrition and the lowest calories. Imagine that! Cucumbers are 96% water and contain Vitamin C which helps to rid irritation and swelling. Lettuce, which is also 96% water, Combine the two, and you have a delicious salad that will hydrate you. Peaches are a great source for Vitamin A, can boost visual and hormone function and they’re also 88% water. Try combining them with strawberries which are 92% water and bananas which are 74% water and a great source of potassium. They help maintain the body’s water balance and help your body excrete sodium. Without potassium you could be at risk for hypertension. This combination is a super-duper hydration tonic. Quiet your mind, be in vibrational alignment with your Source, listen to the Silence and act on the Inspiration!